"We have been in business since 2011, and have been selling on eBay since 2012 as a supplement to our website. We use eBay to bring in new customers, since eBay is considered a trusted website like Amazon. 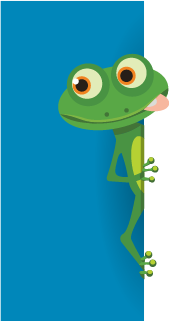 We started using inkFrog about 3 years ago, when we converted over to Shopify. Shopify stores and inkFrog are a great match and we find the integration to be particularly easy to use. We really prefer a smooth sailing operating system, and inkFrog provides the right amount of coordination between eBay and Shopify.